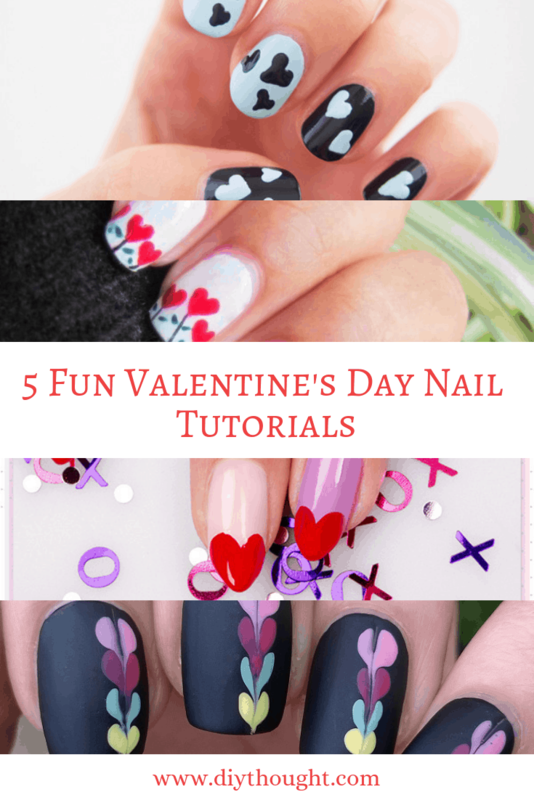 Give your nails some love with these 5 fun Valentine’s Day nail tutorials. These looks are all simple to do and have loads of wow factor. Mix up the colors to customize the looks to make them truly you! A super fun twist on the traditional french tip. 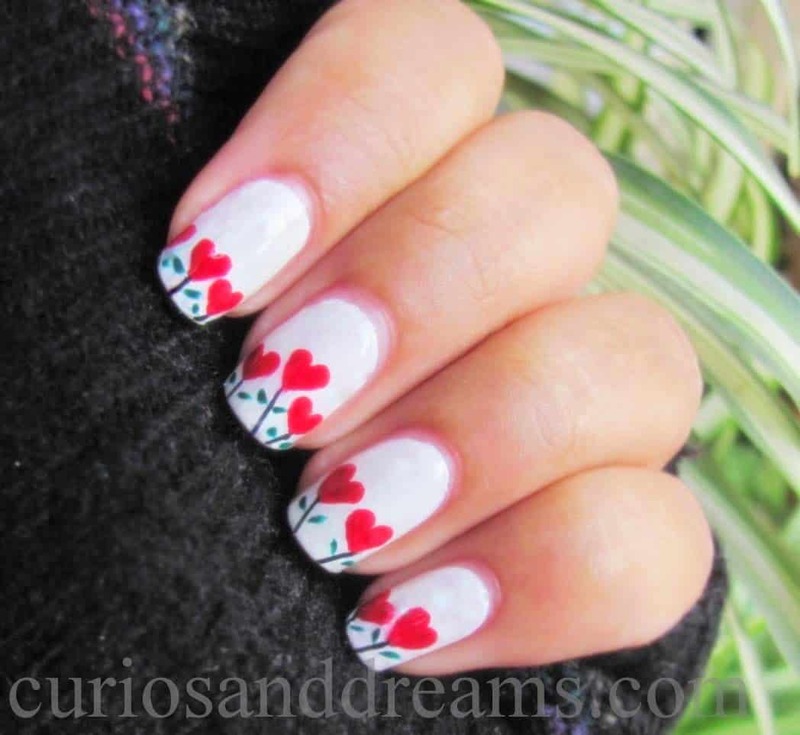 This heart tip is easy to achieve and perfect for a subtle Valentine’s look. Visit Beautylish to get the full tutorial. 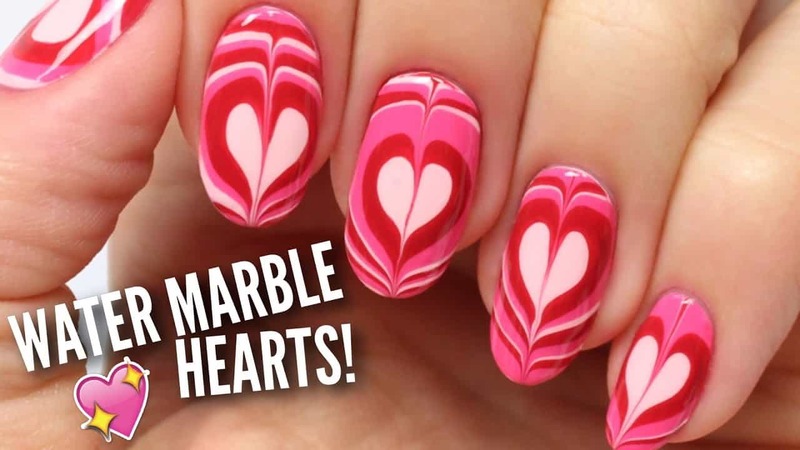 These water marble hearts take some time but the results are well worth it. Check out the video above to find out how to do it. Source found here. The sweetest flower hearts around. 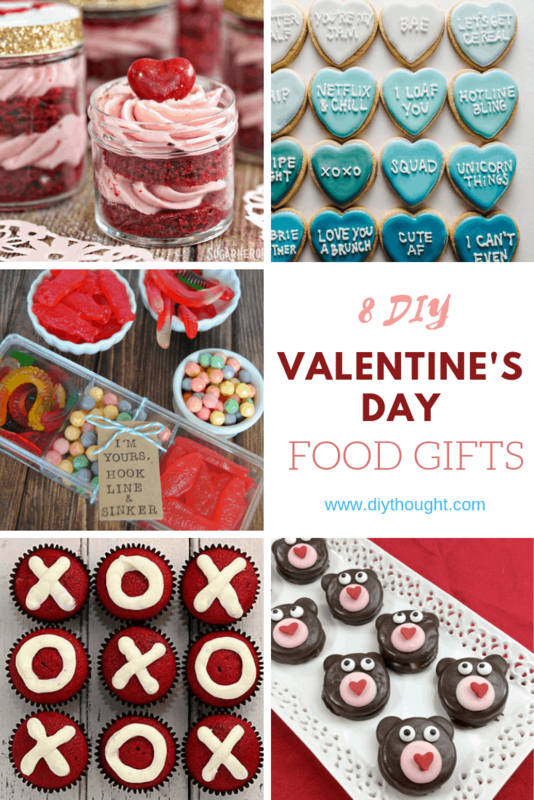 Curios And Dreams provides an easy to follow step-by-step on how to create simple hearts. We love this reversed color look! 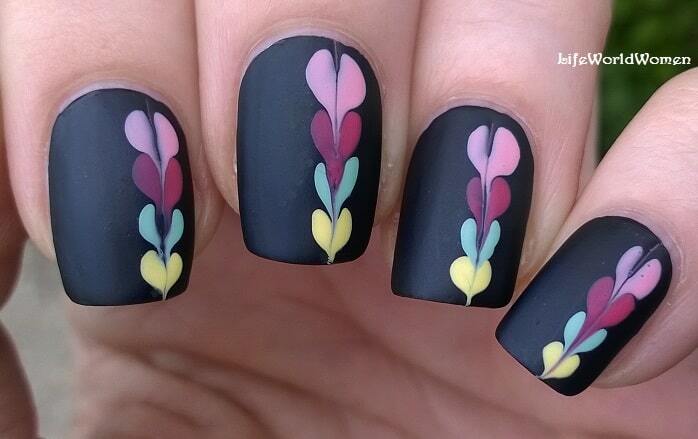 Paint some nails in a light base color and the rest in a dark base color. 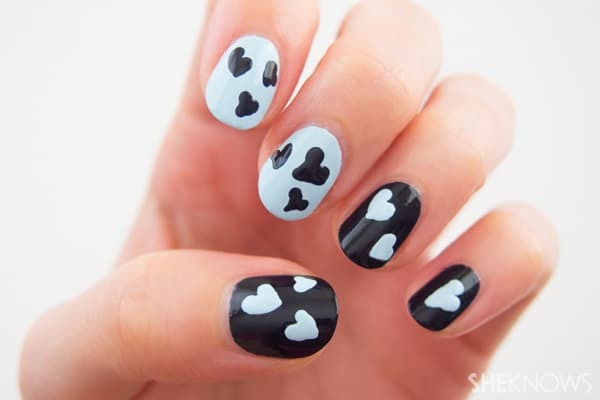 Once dry paint the reverse color in a heart shape. The dark and light blue color used here is stunning but many other color combinations will work just as well. Read the full tutorial here. Using the dot drag method is a simple way to create a modern nail look. Watch the video to see just how simple it is! Source found here.